DLP Towing provide high quality and prompt response of 24 hour emergency roadside assistance service across five key valley locations. It will take us no more than 30 minutes to get to you, any time of the day or any day of the year. 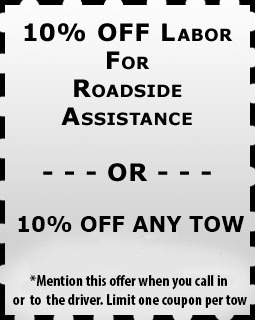 Our emergency roadside assistance and towing service is available 365 days a year. We will pinpoint your exact location using GPS technology, arrive at your roadside location and fix your vehicle or tow it away. Our towing company is fully bonded, insured and licensed. We take pride in the fact that we are BBB credited and have approval for payment by renowned insurance companies. We provide fast response and high-quality, 24 hour emergency roadside assistance across all of Philadelphia, PA and nearby areas. So whether you are simply looking for an estimate or you need a tow truck to arrive at your location immediately, just give us a call and we will be there in 30 minutes to provide you with outstanding roadside assistance service.